As Premier, the Honourable, Dr. D. Orlando Smith prepares to lay the Special Audit Report on the controversial Pier Park Project in the House of Assembly (HoA) during the next sitting—scheduled for December 13—Minister of Communications and Works, Hon. Mark Vanterpool says that he is confident that the report will not accuse him of any nefarious activities in relation to the project and its funds. 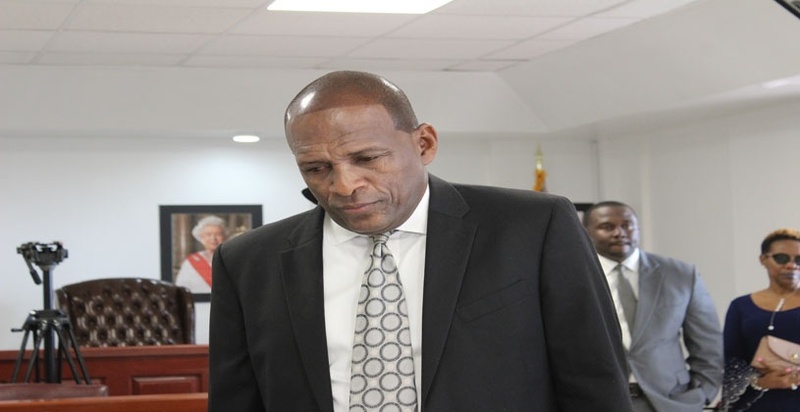 Minister Vanterpool has been the subject of many accusations in relation to the Pier Park Project, and corruption in its execution, since he has oversight of the Ports Authority, that was in charge of the project. However, despite the accusations, the Minister seems confident that he will be vindicated by the audit —which was undertaken by KPMG. Back in January, Premier Smith ordered an audit into the project, which started off with an initial budget of $50 million but ended up costing close to $85 million. This came after former developer of the project, Mr. Hugh Darley, who had threatened to take the government to court over the project, had alleged that the government utilized cheap building materials and cut back on the number of buildings in the Pier Park, but ended up paying more than what was expected at the start of the project. Mr. Darley had pointed to the fact that the project was to be built for $45-$50 million, alleging that some $10 million was overpaid to contractors and others on the marine works portion of the project. He declared that he is of the firm belief that taxpayers received value for money. However, he divulged that he is very confident that should there be more probes into the project, he is sure that he will not be associated with any corruption. “There is nothing about that Pier Park that I would bow my head down in shame about,” he declared. “I’m not worried. I am happy that they have done it,” he said of the audit. “Whenever you do an audit and whenever you do a project, there are certain things that you wish you had done differently and could have been done better, but I’m not going to say it was perfect. I am satisfied that when they would have finished the audit, like I said in the past, the territory would have received value for money, that would be clear,” he stressed. Mark your mouth speaks but the looks on your face tells me your inside is ripping away with worries. Barry say you will hear.